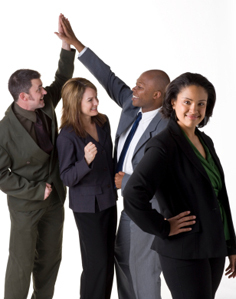 The HR company Connecticut businesses can rely on is HR Knowledge. Located in Southeastern Massachusetts, our dedicated administrative service organization (ASO) is perfectly positioned to provide clients throughout the Northeast with outstanding HR services. If your business is struggling to maintain complex HR practices, and you find that certain HR responsibilities are taking up too much of your valuable time, it might be time to consider bringing in an HR company that help you to streamline and maintain all HR functions regarding your business. HR Knowledge offers a management team of HR professionals who boast over 100 years of combined experience, and are highly prepared to face whatever HR challenges you need to be addressed. We are known amongst our clients for always providing a concierge level of service that simply can’t be beat. For an HR company Connecticut businesses can rely on to provide top-notch HR services in all areas, turn to HR Knowledge. Human resource is an important aspect to any business, and that’s why we work hard to ensure that our suite of services covers all facets of what an HR department provides. When small to medium sized businesses lack the internal resources necessary to employ their own HR departments, they can turn to the HR company that is trusted throughout the North East. HR Knowledge will happily take the time to discuss your organization and the needs you have to fill. We get to know our clients so that their bottom lines become our top priority with each and every service we provide. That’s why we are the most trusted HR company in Connecticut and beyond. HR Knowledge is a professional HR company with unbeatable experience. We serve a variety of industries including non-profits, small and medium sized businesses, private and charter schools, and high tech companies. Our organization is designed to help our clients grow and succeed from the inside out. We take the burden of complex HR responsibilities, and work with our clients to streamline and simplify all areas of their human resource needs. To learn more about how we can help your organization, feel free to check out the full list of services and solutions we offer on our website. When they are considering outsourcing their HR needs, the HR company Connecticut business owners can count on is HR Knowledge. We’re proud of our affordable, reliable solutions and services, and are confident that we can help you. Contact us online, or by phone at (508) 339-1300 to request more information about our HR company. Connecticut business owners who turn to HR Knowledge can rest assured that they will have a dedicated partner prepared to work hard for their success.